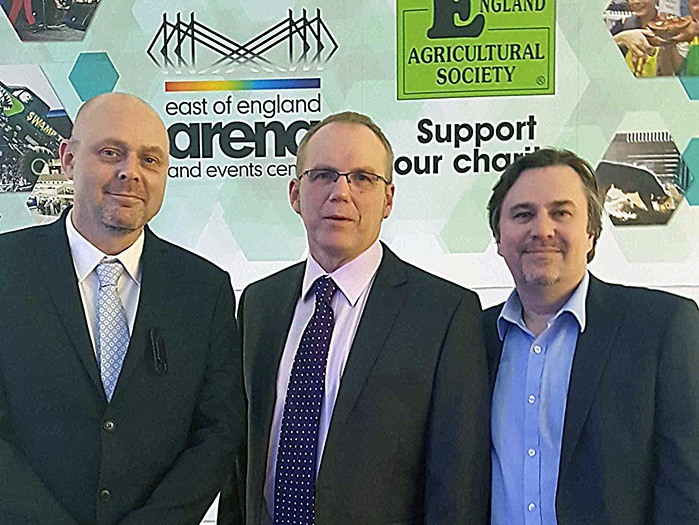 East of England Arena Events Centre (EEAEC) has recently confirmed a strengthened collaboration with Pearce Hire for their busy arena and events centre. The EEAEC is one of the UK’s top event venues, hosting well over 300 events, conferences and meetings a year. This multi-purpose events complex serves the East of England and boasts over 9,000 square metres of indoor space and over 250 acres of outside space. With significant and ongoing investment in the venue and its infrastructure, the venue has appointed Pearce Hire as a preferred contractor working throughout the complex. This is a new step for Pearce Hire – who have never had the status of ‘preferred contractor’ at a major exhibition and event venue before, but they are relishing the opportunity. “With our HQ based in Peterborough we are ideally placed geographically to offer an outstanding level of service and support to the venue, to the organisers putting on events at the venue, and to the exhibitors at all the major trade and consumer exhibitions which take place here throughout the year,” observed Shaun Pearce, Managing Director, Pearce Hire. Pearce Hire will work alongside other preferred contractors at EEAEC, including Hawk Audio Visual with whom they already have a close and collaborative working relationship. This new appointment will serve to strengthen their existing relationship which will benefit the venue and the event organisers who put on events at the EEAEC.